For this month’s Breakfast Club our guest speaker was Steve Hughson, Chief Executive of the Royal Welsh Agricultural Society (RWAS). Steve has just completed his first year as Chief Executive for the RWAS, prior to which he held the position of Head of Territorial Policing for Dyfed Powys Police. Steve began his talk by drawing attention to some of the challenges facing the agriculture industry, listing the need to find new ways of producing food to meet the growing demand, climate change, animal welfare, water security and pressure to farm in a more environmentally way as some of the most significant ones. 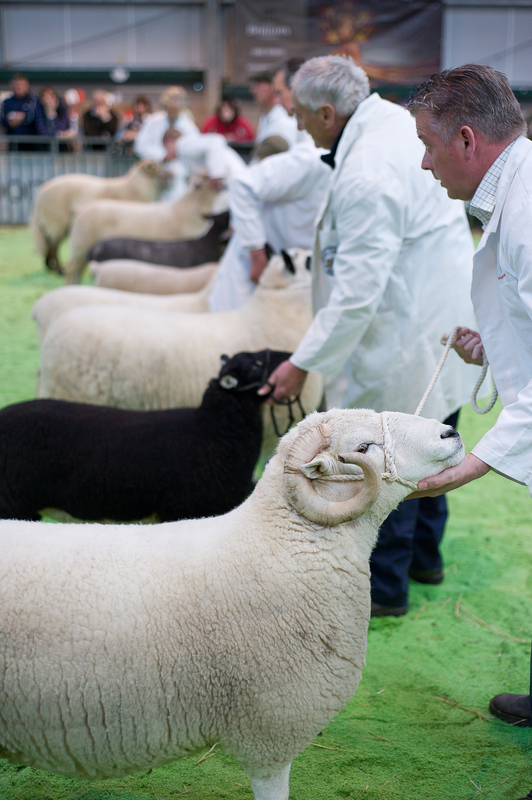 The Royal Welsh hosts three shows throughout the year, with the Summer event being the largest show in Europe. Over 241,000 attended last year’s event, with 7,500 livestock entries, 1,000 volunteers and over 200 tradestands over the 4 day event. However, Steve was keen to stress that the society was ‘more than a show’ but ‘a brand, a business and a way of life’. 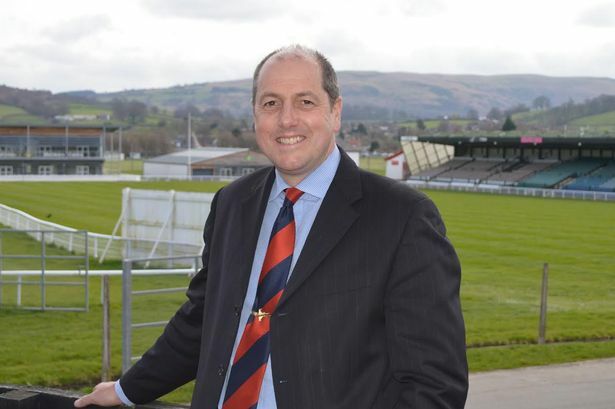 The Royal Welsh contributes more than £40m to the Welsh economy, with £11m worth of assets at its show ground in Builth Wells, 14 committees across Wales and 20,000 members, Steve highlighted the significant and influential position the society has in Wales. Steve believes that with this influential position, the society has ‘a responsibility to agriculture and to Wales’. He believes that the Royal Welsh has an opportunity to shape and influence the future of agriculture in Wales through supporting innovative and progressive farming, and sharing the society’s ‘school of knowledge’. He highlighted the society’s continuing work with Nuffield scholars and the Agri Academy, as well as the Tomorrow/Today tradestand for innovation in agriculture as some examples of the work they are currently doing in this area. The next Breakfast Club will be held on 16th May with guest speaker Jon Horne, Chief Executive of Cardiff International Airport. For further information and booking details, please contact eira@petersenspr.com or phone 02920 549597. Fracking an answer to Wales’ energy needs? 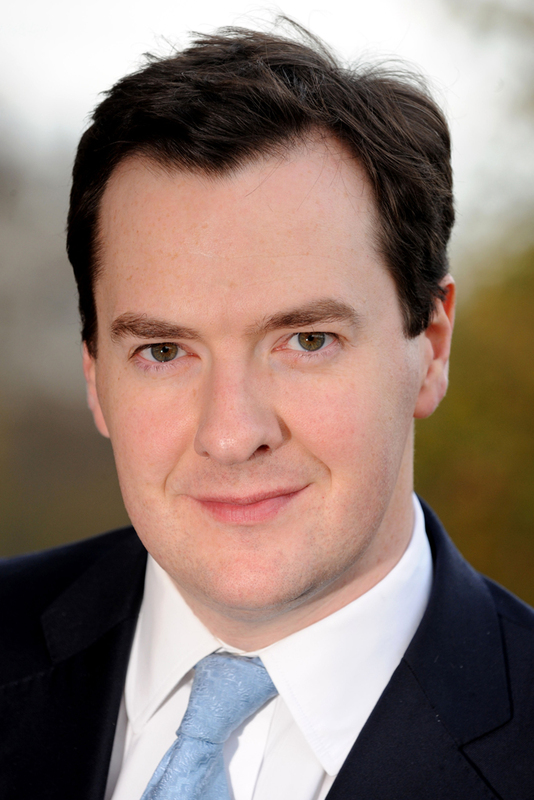 In yesterday’s Autumn Statement, Chancellor George Osborne stated that he would introduce a new tax allowance to encourage investment in shale gas that halves tax rates on early profits! Such encouragement is to be welcomed everywhere, especially here in Wales. Our dependence on fossil fuels, coal in particular, is still of great concern as our supplies reduce and we are actually importing coal from other countries, whereas 100 years ago we were exporting high-grade Welsh coal around the world. We have below our beautiful landscape enough reserves of gas to satisfy our nations needs for many decades. There are many opposed to this form of gas extraction which does involve drilling and causing possible water contamination as chemicals are used during the fracking process. However, in the UK there are very stringent requirements and safeguards to ensure that the gas is extracted safely and with minimum disturbance to the environment. Indeed one of our clients, Cintec International has developed a range of products to mitigate many of the concerns faced. From strengthening of bridges with access to drilling sites, to water tight lagoons to carry the vast quantities of water needed during the fracking process , to actually producing a water-tight fabric sock to go around the drill holes. Cintec are already in discussion with exploration companies in the UK and Canada who are very interested in Cintec’s solutions. With a tightening of regulations and safety of paramount importance, open, honest discussion with all parties concerned can surely only result in fracking taken very seriously as an answer to Wales’s energy needs in the future. Let’s embrace the opportunity and not kick it into touch through ignorance and vested interest. Wonderful news for Welsh house builders and purchasers. A strong house building industry for Wales is key to economic growth; therefore yesterday’s news from Housing Minister Carl Sargeant is to be welcomed. He announced that energy efficiency targets for all new homes built in Wales have been drastically cut from an 8% reduction in carbon emissions from next year, rather than the previously stated 40%. 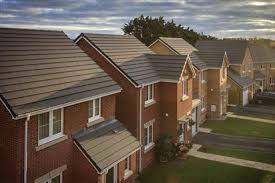 This saves a huge £4000 in the cost of building a house, which will benefit purchasers also. This news together with the news that the requirement for all new homes to be fitted with fire sprinklers would be gradually phased in between 2014 and 2016, gives the house building industry the opportunity to gain experience and skills as well as seek opportunities to innovate and reduce the costs on installing sprinklers. The final piece of news which must be welcomed by house builders and purchasers alike is that a shared equity scheme, Help to Buy Cymru, would be introduced later this year to support new home buyers in taking their first step on to the housing ladder. 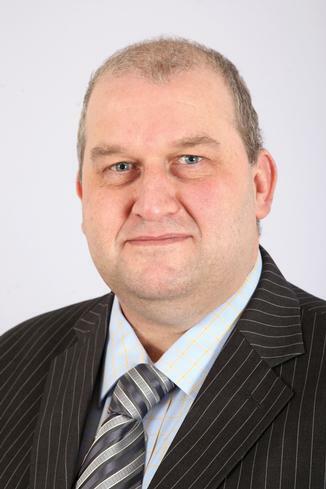 Carl Sargeant is to be applauded for taking some tough decisions but showed that he was prepared to act on representations made to him which ultimately would positively help our housing building sector and buyers alike. 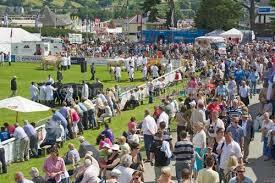 Delighted to hear that our client the Royal Welsh Agricultural Society made a £210,000 profit on the 2012 Summer Show. With the record-breaking attendance of 241,000 of the Show and further successes of the two day Spring Festival and Winter Fairs, the Society managed to persuade visitors to come to Llanelwedd even during the dark days of recession. Hopefully the advertising and promotion which we did to publicise the event helped with the visitor members. Let’s hope that this year’s Summer Show even beats last year figures. Make a note of the date July 22-25. Here's to ewe! 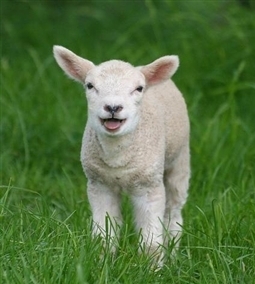 - Welsh lamb and beef sales are on the rise in the EU. I was delighted to read in today’s Western Mail that the value of Welsh lamb and beef exports to the EU was up 22% on the previous year! What wonderful timing, as we all begin to celebrate St David’s Day on Thursday. As I have advised my oldest client, the Royal Welsh Agricultural Society, on marketing and advertising for over 30 years, I have grown very fond of those who make up the farming community in Wales. They are hard-working, loyal, humorous and so proud of the animals they rear. It is thanks to the care, husbandry, Welsh climate, and soil of course, as well as in the breeds and varieties themselves that Welsh farmers are producing such delicious lamb and beef – which consumers in Europe and the rest of the world are at last beginning to recognise and enjoy. It’s that Welsh magic again! A report published earlier this week by the National Assembly’s Public Accounts Committee (PAC) claimed that catering services in hospitals across Wales are inconsistent, and while improvements were being made, they are coming too slowly. An area of particular concern was nutrition, which as the report stated is a ‘crucial element’ in patient care. Yet with public sector spending cuts and rising food prices, maintaining and improving nutritional standards is an ongoing challenge to hospital caterers. Peter Marrs, Sales Director at Abertillery-based prepared meals manufacturer Tillery Valley, appeared on BBC Radio Wales’ ‘Good Evening Wales‘ to comment on the issues raised by the report. 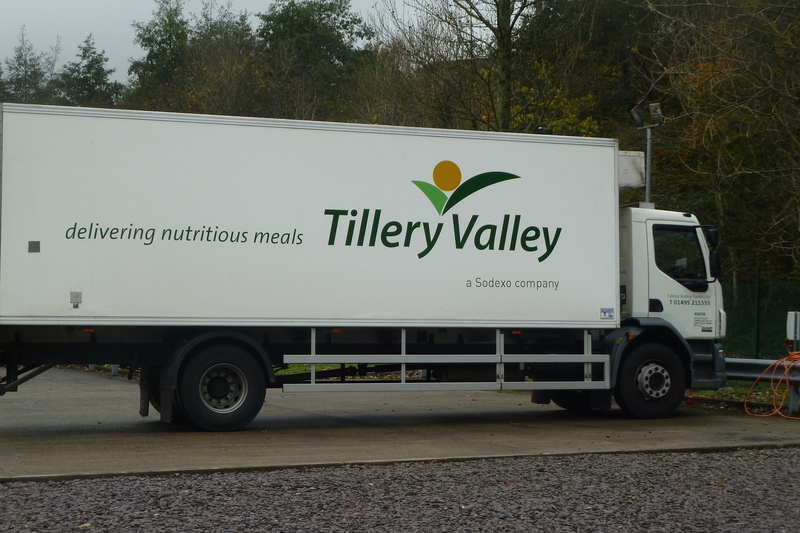 Tillery Valley produce 600,000 meals per week for catering departments across the public sector, and work closely with health trusts UK-wide to design menus to accommodate specific, and often tight, budgets. Peter said, ‘Matching nutritional standards and dietary requirements to shrinking budgets is difficult, but not insurmountable. 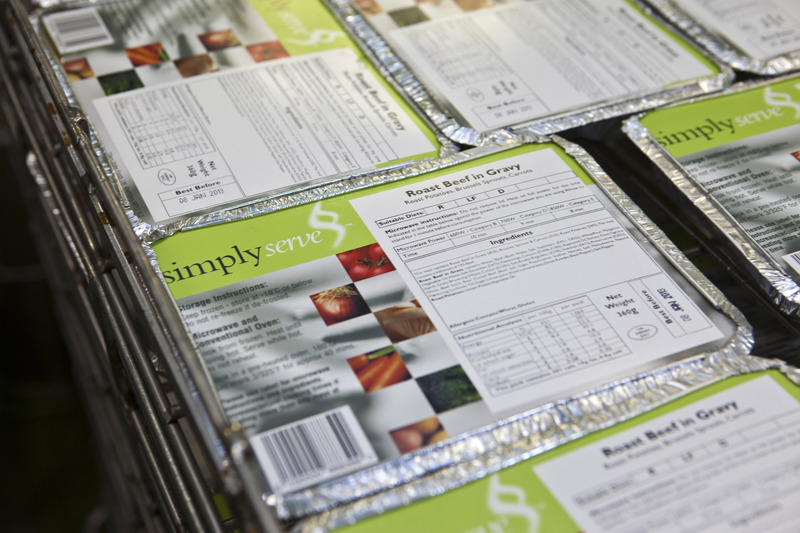 At Tillery Valley, our in-house dietitians build menus around nutritional requirements, collaborating with out product development team to ensure we deliver the highest-quality products within these strict criteria. Companies like Tillery Valley may find themselves in increasing demand as they continue to deliver a consistent, cost-effective and nutritionally focused service to the public sector; catering to a wide range of patient needs while delivering nutritional standards within a specified budget. Part of the PAC report recommended that the Welsh Government monitor the progress of NHS bodies in delivering its guidance around patient catering and nutrition. Further statements on this important issue can therefore be expected in the future. To hear Peter’s comments on ‘Good Evening Wales’, you can listen again on the BBC Iplayer website, by clicking here. Becci, Rob and I got into the festive spirit on Friday by going along with some of the Tillery Valley team to the FareShare depot in Cardiff. 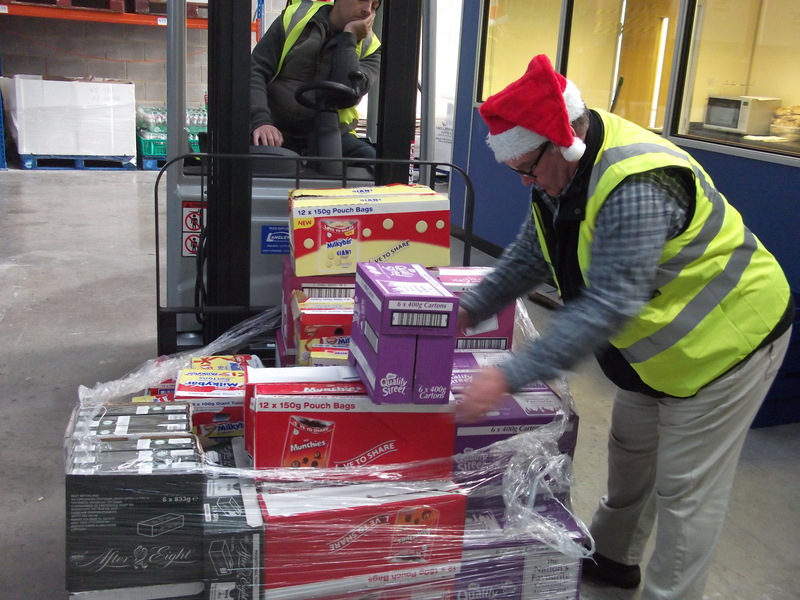 The Tillery Valley team have been donating their frozen ‘overs’ to the charity for over two years, and in the run up to Christmas, have been helping the charity to fill, pack and deliver pallets of donated food items to causes and centres across South Wales. That day we would be going to the Salvation Army, the Huggard centre and the YMCA, dropping off everything from teabags and beans to rice pudding. And chocolate – lots of chocolate! The first thing we noticed when arriving at the depot (apart from the chilly temperatures!) was the really positive atmosphere. 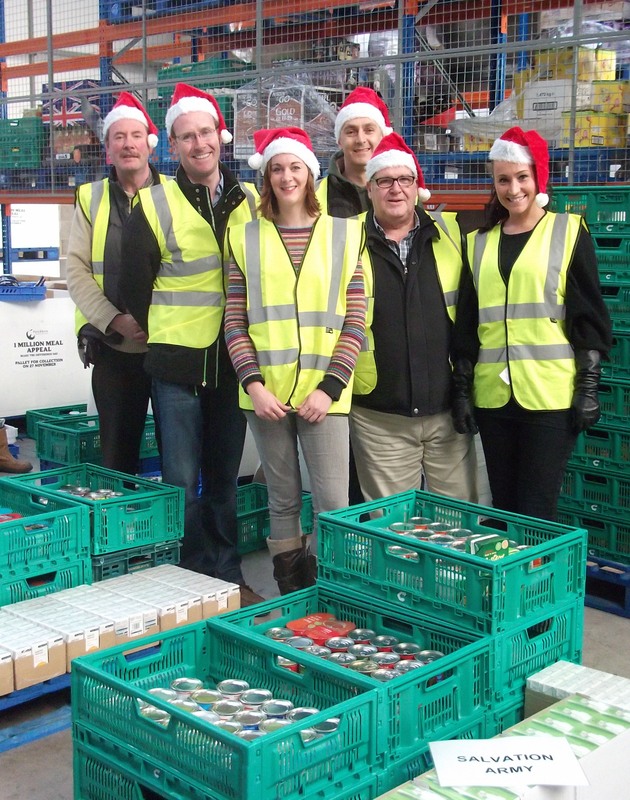 Project co-ordinator Katie, depot director Keith, driver Michelle and the rest of the FareShare team were all so positive and friendly, it was no effort at all to get excited about getting stuck in. And the santa hats we brought along definitely helped! Katie started by explaining the ordering process. She phones each centre or recipient with a list of the items FareShare have in stock, and makes suggestions for things they might like. She also notes down any requests for items that they don’t currently have available, in case something similar comes in for the next round of deliveries. Then, with Katie and Michelle calling the shots, Phil, Denis and Darren from Tillery Valley got down to work ‘picking’ the items for the day’s destinations. It was really interesting to see just what was sent to each place. Keith, the FareShare depot director, explained that there is often a very tight turn-around on the items they receive, as they are often close to their sell-by dates. That’s why Tillery Valley’s ‘overs’ are particularly helpful as, being chilled or frozen, they are a lot longer-lasting. The meals are also nutritionally balanced, which is particularly beneficial considering many of FareShare’s deliveries are to centres for the homeless. Nobody wants to hungry at Christmas. Pallets packed, the team jumped in the van to make its first delivery. The Salvation Army centre were decorating their Christmas tree when we arrived, and the tins and boxes Phil and Denis dropped off were certainly a welcome present. We also met long-serving Salvation Army worker Melvin Walters, who showed us the kitchen and dining areas, and talked us through what the centre would be doing over the festive period. As well as offering it’s normal 60-plus beds, it was that night converting one of the lounge areas into another shelter, to prevent people having to sleep on the streets in the coming cold weather. It was fascinating and really quite humbling to meet Melvin and listen to his stories about how Christmas is for the homeless, and the Tillery Valley team all said how much they valued the opportunity to see that their efforts would be making a real difference. It was a really interesting morning for us all. The positivity of the FareShare team was infectious, and it was great to see first-hand the fantastic work they are doing in the South Wales region. Earlier this year I finished an MA in English Literature, and was soon faced with a terrible reality: an economy in crisis and job opportunities few and far between. Feeling hopelessly unemployed, the prospect of a Go Wales Work Taster with Petersens PR in Cardiff, was one I welcomed with open arms. We are all used to the work experience cliché – a week spent making tea and filing – but at Petersens I’m being given real tasks, and more importantly, a true insight into the mysterious world of PR. As well as writing press releases and articles, I’ve joined the team on visits to clients, including a trip earlier today toTilleryValley, an award-winning meal provider to the health, education and local authority sectors. The site director of Tillery Valley, Phil Hall, and other company employees were meeting with Sarah Dickins, a top BBC Wales reporter. Sarah, working in her capacity as a presenter on BBC Radio Wales’ “Good Evening Wales” , had arranged to watch the Chancellor’s Autumn Statement from Tillery Valley, gauging the company’s reaction to George Osborne’s plans. 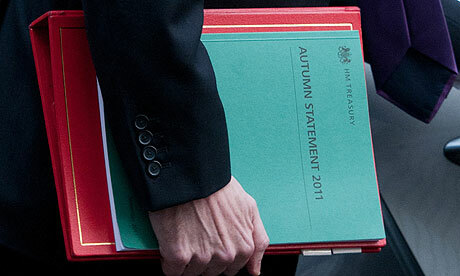 Phil Hall and his colleagues expressed overall disappointment in the Chancellor’s reforms. They felt Osborne had failed to offer enough initiatives to ease the childcare burden on working parents; that cancelling the planed 3p fuel duty increase did not go far enough; and that while halving the toll on the Humber Bridge was a good idea, for their company in particular only a similar measure on the Severn Bridge would have a major impact (the company spends over £1,500 pounds on toll charges each month). 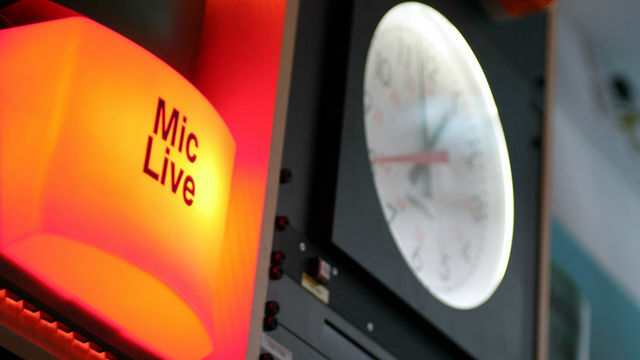 The interview will be aired on BBC Radio Wales’ Wales Tonight at 5pm this evening. Tillery Valley, a national meal provider to the public sector, will be featuring on BBC Radio Wales Wales@Work tonight at 7pm. The feature follows a tour of the company’s factory which has the capacity to produce 1 million meals per week and a short interview with various members of staff including Site Director, Phil Hall, who speaks openly and frankly about his business and the state of the industry. As an environmentally responsible business, Phil mentions that he is keen to support the local economy here in Wales, working with suppliers as local as the farms that surround the factory in valleys of Abertillery. fantastic business and one in which, as Phil admits, has not always been very good at shouting about its success and we hope that the interview on BBC Radio Wales will be a step towards changing this. With over 350 staff and a turnover of £30 million,TilleryValley plays a significant role in the local economy of the South Wales Valleys. The company supplies chilled and frozen food to the healthcare sector and delivers to approximately 120 hospitals and trusts around theUK. The vast majority of their contracts are with organisations outside of Wales right now but Site Director Phill Hall is keen to change this. Raising the profile of Tillery Valley within Wales is an important part of this strategy. Tillery Valley has invested time and money in nurturing its workforce to make the business more efficient. A number of employee forums were set up to give employees a voice, a Health and Safety Manager was employed to focus on reducing accidents in the workplace and Senior Management are generally more visible on site. Just four years ago absence was running at 11% and has now been reduced to just 4%! It will no doubt be a very interesting interview, so for a chance to find out where your hospital food might be coming from, don’t forget to listen in to BBC Radio Wales at 7pm tonight. 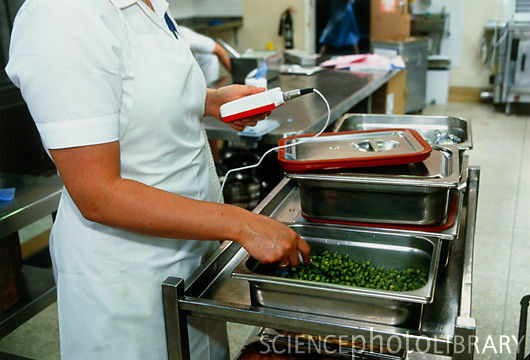 Do you know where your hospital and school food comes from? The Petersens PR team will be visiting a national meal provider to hospitals, schools and local authorities this morning, where BBC Radio Wales’ Steven Fairclough will be touring the factory and talking to employees for next week’s Wales at Work programme. The team will be tweeting from the factory so make sure you follow @Becci7999 @PetersensPR and @louisemarieyau for updates – and to find out where your hospital food might come from!